Yanagawa,where small boats (called donko-bune) with tourists on board come and go on the rippling waterway Awaiting you is a lovely time in an area with an atmosphere reminiscent of a castle town. The flow of water and gentle tones of poems soothe your mind. 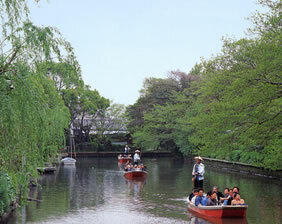 Yanagawa offers travelers abundant and genuine pleasure. History shows that Yanagawa has developed with water. Around 2000 years ago, a vast tideland of the Sea of Ariake turned into land, and people dug ditches in the wetland to store domestic and agricultural water. In the 7th and the 8th centuries a waterway and a grid of paths between rice fields were developed, and a modern castle town emerged. 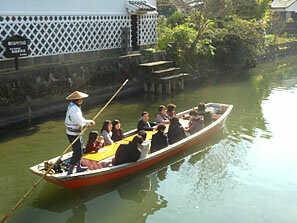 Yanagawa City is known as a Cultural Heritage because of its traditional, cultural and unique landscape. Copyright © 2016 SUIGO YANAGAWA KANKO INC. Produced by BROAD-KIDS.